Are you interested in raising bees on your homestead to have a supply of honey for food or to pollinate your trees and plants? This is a great way to have fresh honey to use at home or to sell if you want to make a couple of bucks. The easiest way for you to do this will be to install a beehive from a package of bees. 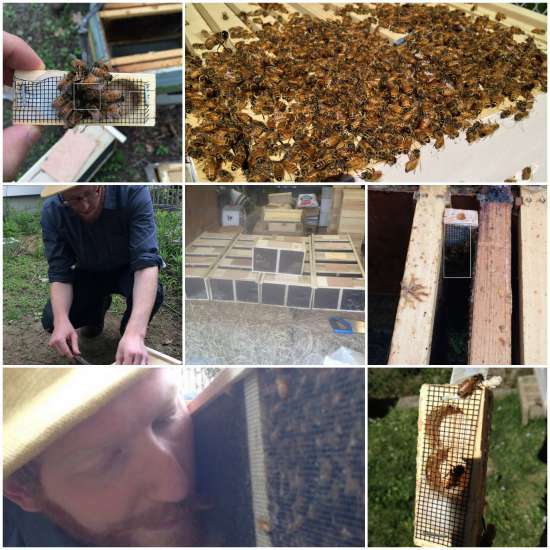 Most beginner beekeepers will start out with the queen and any worker bees in a package. You will need to have at least one beehive box so you can harvest honey when it is ready. This is important as your bees will live once you install a beehive from a package. The size of beehive box to use when you want to install a beehive from a package will vary. Some of the frames may need to be removed to get the package of bees to fit. Once the box is all complete, then you just need to wait.